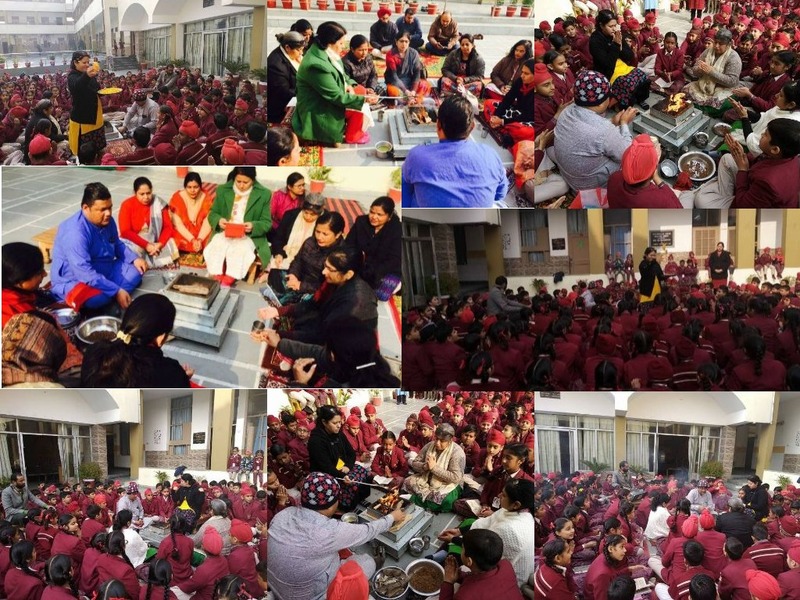 As per DAV tradition,all the teachers and students of DAV Nabha entered into the New Year 2019 in the true vedic manner by performing Havana on January 1,2019 to seek the grace and blessings of Almighty.It was organised under the able and benevolent Principal Miss Meena Mehta. Mr.Rohit Arya,D.S.teacher chanted the mantras and told the importance of these mantras in life.The Principal and all the teachers offered samagri (natural herbs) with ghee to the havana which is a good start and successful completion of a previous year. In her address,the Principal said that havana is like inhalation therapy that relaxes the mind and heals the body.Havana agni is a source of energy. She congratulated and blessed all teachers and students on the new year ahead by showering flowers on them. She prayed that God might bless us strength to perform right actions and enrich all of us with positive energy. The prashad was distributed among all.